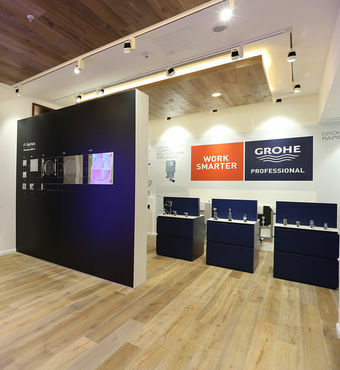 GROHE introduces its new "GROHE Live! 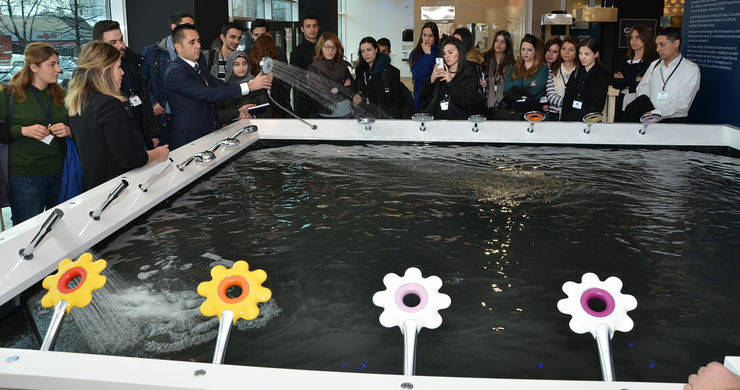 Center Istanbul"
The world's newest Live! 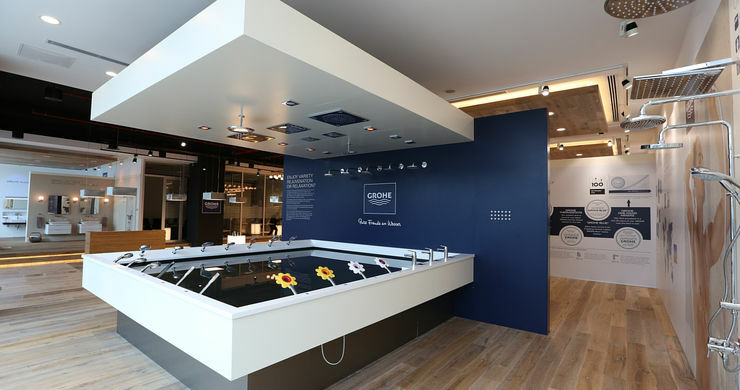 Center is built over a 2000 square meter area and features an exhibition area of 350 square meters where a large number of GROHE products are installed and displayed live. 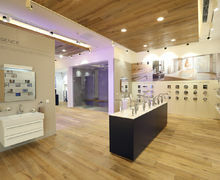 GROHE Live! 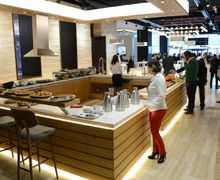 Center Istanbul, houses GROHE's offices, depots, a large training room, two seperate large meeting rooms, laboratories, and a professional training and application area. 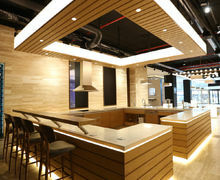 GROHE Live! 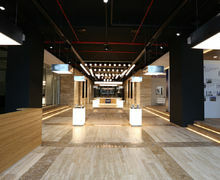 Center İstanbul where GROHE dealers, and business partners, architects, contractors, constructors, installers and end-consumers will find the opportunity to experience the GROHE products and technologies first-hand, is like an interactive museum. The history dating back to 1873, technologies, design awards, sustainability atributes and innovations of the brand are portayed at the entrance. 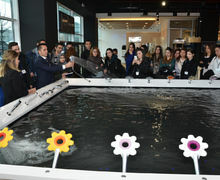 In addition to a fully functioning F-Digital SPA area, there is a live pool area where you can try out a selection of the head and hand showers, a professional area where you can find out about the installation of the products, seminar and traing rooms where you can recieve training sessions on the products. GROHE Live! 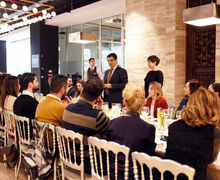 Center İstanbul already hosts at least three events/trainings a week.